Bula! We're Monica and Tom's in-laws, Leeann and Steve. Steve is Monica's brother, #3 in the cast of 8. 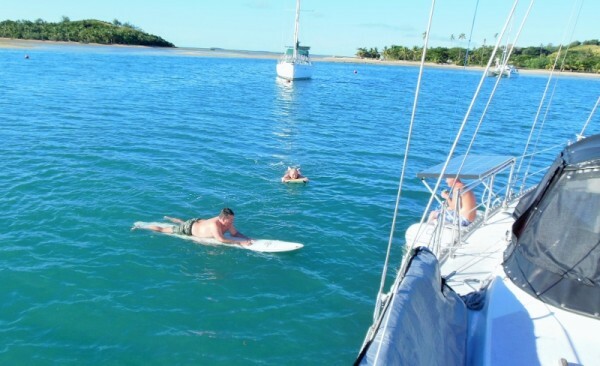 We recently took Monica and Tom up on the gracious invitation to visit them in Fiji "anytime". Part of our "requirement" to stay was that we had to write a blog post about our adventure. Trust me when I say there are no words to adequately describe the people, the scenery and just the overall good vibe you get from being in these islands. What follows is a daily log of the things we did and what stood out the most during each day's adventure. Day 1 - Traveling from Savannah GA to Nadi Fiji. We left Savannah at about 5pm on Wednesday afternoon, April 30 with connections in Charlotte NC, Los Angeles and arrival in Fiji set for 5:50am Friday, May 2nd. Don't ask me where May 1st went. It still boggles my mind. :) Everything with the flights was perfect. A specific shout out to Fiji Airways!!! They ROCKED!!! Everything about their crew, the food and the flight was just spot on! I was seated next to a native Fijian woman who was traveling home from Canada after 7 years away. One of the first things she said to me was how much she loved and missed her Fiji. I don't know that I have ever heard anyone say they loved a country with such sincere passion. The flight was 11 hours long and much of the time was spent sleeping and watching movies. As we were beginning our approach of the airport in Nadi, we could see some of the city lights as dawn was beginning to break. Once again, with such passion, my new friend said "oh how I love my Fiji". After a cab ride from the airport that had Steve and I both feeling like contestants on the Amazing Race, we arrived at Port Denarau marina and were greeted by Tom and Monica with a heartfelt BULA and leis. Our bags were loaded in their "dink" (dinghy) and Tom transported and unloaded them onto Tanga. Tom then returned and we all loaded up to be ferried over to tour our home for the next 7 days. After a quick change of clothes, we were off. We returned to the marina for a delicious breakfast at Cardo's which included FRESH pineapple juice! We ventured from there by bus back into Naditown to gather provisions. The $1FJ bus ride was quite the "trip". Upon arriving in Naditown, we went to several shops and then to an open air vegetable and fruit market. The fruits and vegetables were incredible. There were many that we recognized and some we did not. While at the market, Steve and I bought a bundle of Kava Root for the SevuSevu ceremony we will have upon entering a village along our journey. Once we found a Kava seller and told him what we needed, the base of the kava root was wrapped in newspaper and then ribbon was tied around the remaining root extensions to make quite a lovely presentation. We also stopped by a chemist where Steve was able to purchase Naprosyn a NSAID for his aching knee. In the states this would have required a doctor's visit and a prescription but not in Fiji. Here you just visit your chemist, tell him what's bothering you, let him know what you'd like, the strength and how many, he obliges and off you go...30 - 500mg pills all for $18. 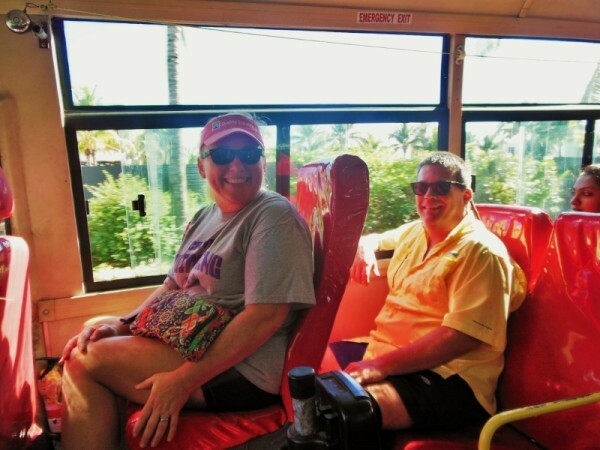 After our in town purchases, we took a cab back to Port Denarau. One quick stop at the butcher for a previously placed order of beef, chicken, sausage and rashers (Austrailian for Bacon) and we were back at the marina. The initial plan was to stay at Port Denarau for the night, have dinner and head back to Musket Cove the next morning but, since it was so early and all of the day's tasks were completed, it was decided we would head on over to Musket Cove that afternoon. We motored over to Musket Cove, the place Tom and Monica call home. After attaching to the mooring ball, we all jumped in the water. How refreshing! We enjoyed the water for a bit, climbed back onto Tanga, changed into dry clothes and headed over to the island for drinks at the island bar and to grill up the yummy sausage we picked up at the butcher. We had dinner on a picnic table with Ernie, a fellow "yachtie". Everyone who passed whether yachtie or local were all so sweet and friendly. After a dinghy ride back to Tanga, we called it a night. A beautiful end to day one. It's easy to see why Tom and Monica have embraced this life and Musket Cove as their home. Fiji is a special place and I now understand why my friend from the airplane "loves her Fiji". It would be very hard not to.